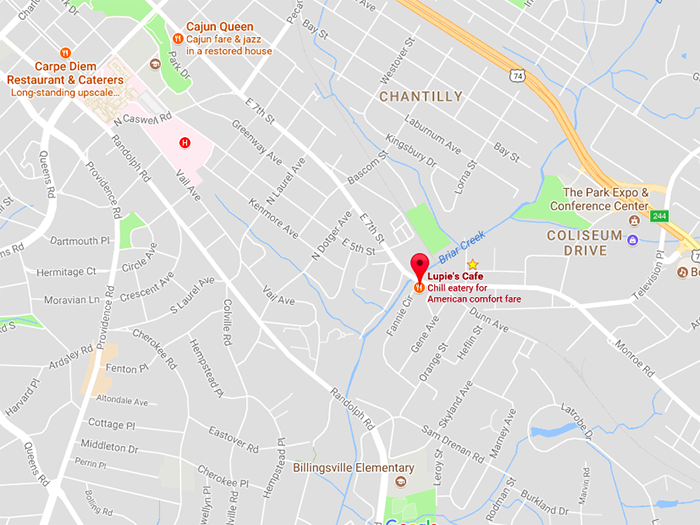 I tried all 4 chilis at Lupie’s. Here’s the deal. I think everyone knows about the chili at Lupie’s. 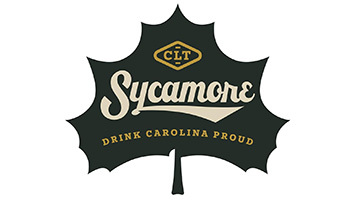 It’s amazing and largely recognized as the top chili in our city. 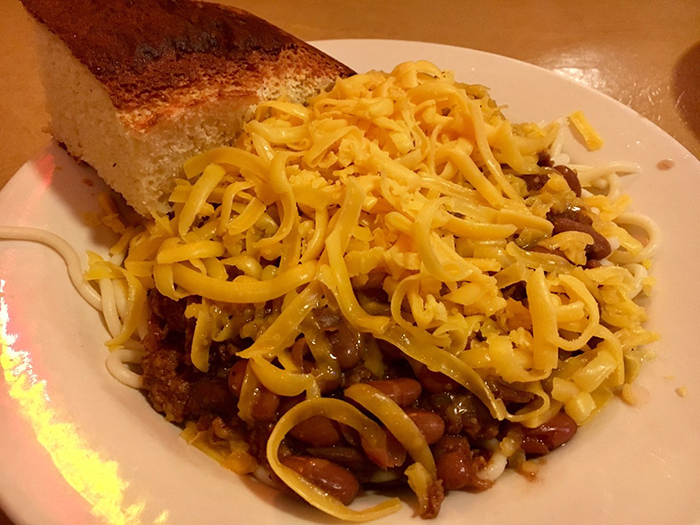 In case you didn’t know, Lupie’s is a Charlotte staple that’s been serving up delicious chili since 1987 (happy 30th, Lupie’s!). Founder Lupie Duran recently retired from the biz and passed the restaurant to her daughter, Larkin. 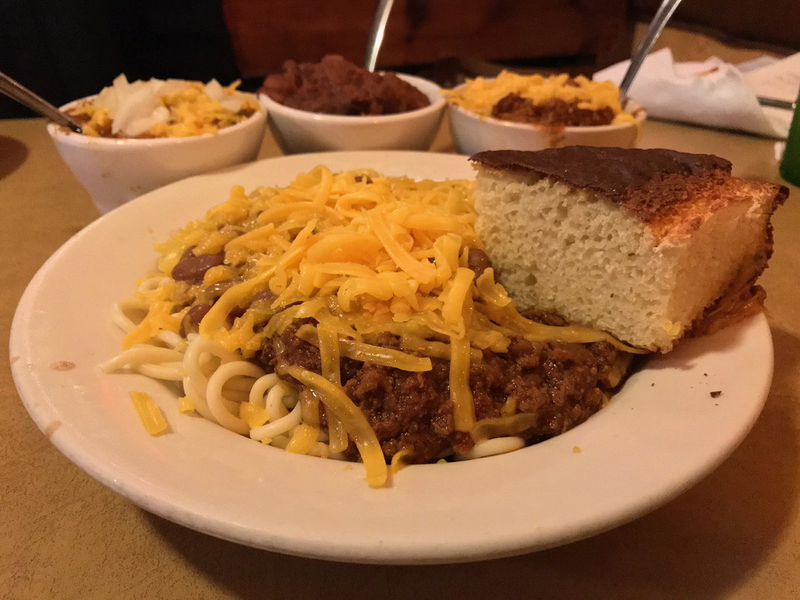 On the menu, you’ll find four varieties: Lupie’s Texas Chili, Cincinnatti Chili, Vegetarian Chili, and Southern Style Chili. You can add fresh-cooked-in-fat-back pinto beans, cheddar cheese, and/or onions to each bowl. You can order chilis by the cup ($3.50), bowl ($6.75), over spaghetti ($7.75), or over mac and cheese ($8.95). 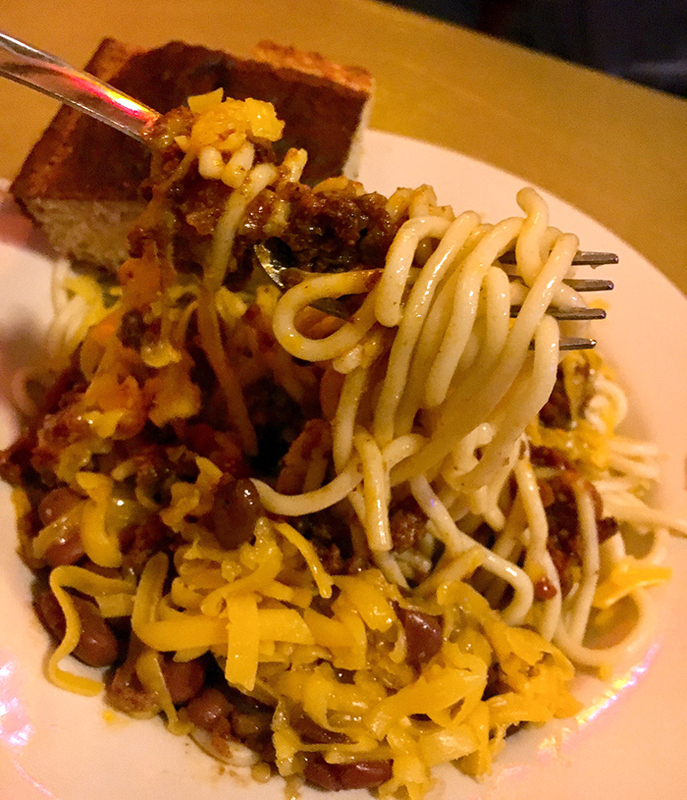 Texas Chili is the most popular. 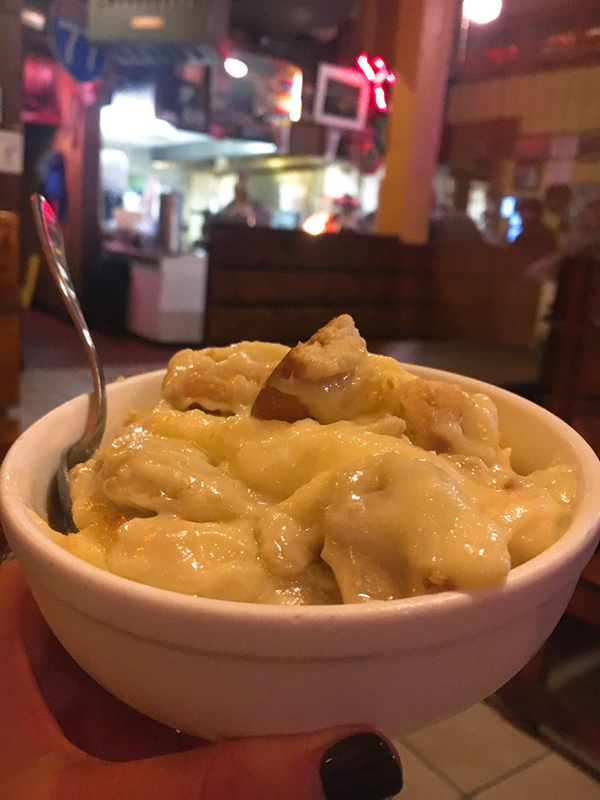 Cheese is the most popular topping (duh). They say it’s hot, and they mean it. Easily my favorite of the bunch. It’s made with ground chuck but NO tomatoes, and it simmers in beer sauce for over six hours (which you can totally taste). You can’t even tell it’s meatless! I actually added green Tabasco to this one and loved the combo. Ground chuck with tomatoes, but not much spice. Added a lil red Tabasco to this one for a kick. As I’m told they do in Ohio, I ordered this one over spaghetti. The sweetness of this one makes it taste like the holidays. And to cool things down, banana puddin’. It’s a must. 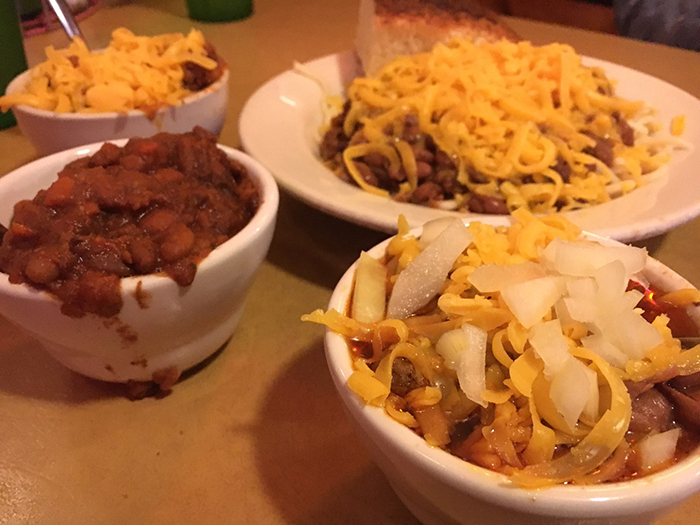 What’s better than a bowl of chili with a friend over the holidays? Nothing. 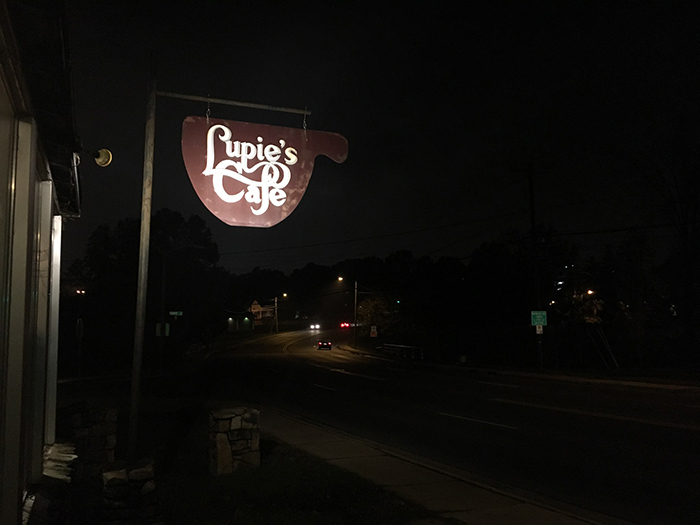 Find Lupie’s Café at 2718 Monroe Road between the hours of 11 a.m. and 10 p.m. Monday through Friday and 12 p.m. and 10 p.m. on Saturday. Connect on Facebook, Twitter and Instagram.